BECAUSE the Philippines has a young population, most of whom are under 30 years old, the bone disease osteoporosis has not been given much attention. But in many countries with aging populations, osteoporosis has been dubbed the “silent killer”, especially for women—although recent medical research have shown that men can also be afflicted by the disease. 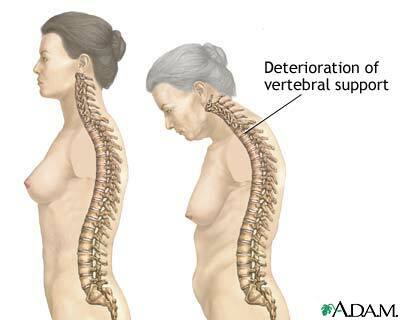 I read up a lot about osteoporosis primarily because I live with my still-active 82-year-old mother. Also because, well, being 45, I must admit I do sometimes feel the wind whistling through my bones. There have also been a few times when getting up from a stationary position after a while can sometimes be, ahem, a bit taxing. While Mama is still up and about, and can manage our stairs, albeit slowly, I make sure she holds on tightly to me whenever we negotiate certain areas in the mall or in dimly lit places. She has to take deliberate steps when she walks around so as not to slip. I have nightmares about what happened to my grandmother happening to my mother. My Lola, who was in her 70s, slipped and fell while going about the house, breaking her leg. She spent quite some time at the National Orthopedic Hospital, with her leg in traction, before we were able to bring her home. While she was always full of energy and fiercely went about her business in and out of the house before the accident, I was so surprised how quickly she deteriorated even though her leg was technically repaired. She never walked quite well again after that. Suddenly she was just bedridden, and then she was gone. It has long been considered an old person’s disease, but what few people realize is that bone breakdown can begin as early as the age of 25. While human bones are living tissues that naturally undergo a constant breakdown and renewal process, this changes during the mid-20s, when the deterioration of our bones begins. Studies also show that smokers, those who ingest alcohol liberally, and people with low-calcium diets and generally sedentary lifestyles are susceptible to osteoporosis. (Miggy, lay off the Facebook!) Owing to our hormones and petite frames, women are more prone to this disease than men. Monthly periods and pregnancy also drain the body of calcium—the nutrient which builds and strengthens bones—while menopause accelerates bone loss even more, as the body produces less and less estrogen, which helps protect bones, according to experts. While there are no exact figures on how many are afflicted with osteoporosis in the Philippines, population figures from the National Statistics Office show there are close to 4.8 million women aged 50 and older, and most, if not all, at risk for the bone disease. Deadly sa kababaihan, indeed. Some of the tell-tale signs of this “silent killer” are the following: the stooped back, loss of height, and the easy breakage of bones in the back, hips, wrists and ankles. Fractured bones, however, are not the end of it: according to the IOF, 30 percent of those who develop a hip fracture never walk again, while 20 percent die in a year’s time. Just like Lola. To ensure optimum bone health, most doctors recommend calcium-laden products such as milk. A glass of Anlene, for instance, contains 500 mg of calcium, while Anlene Gold has 600 mg per glass. * Anlene is not just ordinary milk, by the way; it is especially formulated for adults—enriched with the essential bone nutrients like calcium, vitamin D, magnesium, zinc and protein. Anlene also recently published a breakthrough clinical study that showed women who drank two glasses of Anlene daily reduced their bone breakdown within four weeks (based on evidence from a 16-week bone-marker trial and additional Anlene research). Imagine that! Of course, drinking milk alone won’t save your bones. It’s important for women to also engage in regular exercise such as running, walking, strength training, and yoga or Pilates. A diet rich in calcium is also recommended, and this can be found in soy-based foods like tofu, as well as dark, leafy green vegetables. Another way to improve bone density is to increase one’s intake of vitamin D, which makes it easier for bones to absorb calcium. Vitamin D can be found in fatty fish like salmon and mackerel, fish liver oil and egg yolks. Recommended calcium intake for women between the ages of 25 and 50 years is 750 mg a day; and more for those who are older, pregnant or lactating. As for vitamin D, the Recommended Daily Allowance for women aged 19 to 50 is 600 IU (international units). With Anlene, a proper diet and regular exercise, we girls may lick this silent killer yet. *UPDATE: A story was published in the NYT Tuesday indicating new required levels of Calcium and Vitamin D. It says: "For daily calcium intake, the institute now recommends 1,000 milligrams for children 4 to 8, women and men 19 to 50, and men 51 to 70; 1,300 milligrams for children 9 to 18; and 1,200 milligrams for women 51 and older and men 71 and older. The upper limit of safety, the institute said, is 2,000 milligrams a day for men and women over 51." 1 table spoon of vingare per quart 1/2 leater of water. Simmer it for the designated time then take a cupcake pan and freeze the juice. Do not microwave to melt them.